GIRLS it's time to dress up! Get that fab doll look! Design makeup & hairstyle! Get your girl ready to go out on the town! Tons of different beautiful models need your help to cut, color and comb their hairstyle to look better than ever before. Do their makeup, dress them in hot clothes, color their nails and much more. 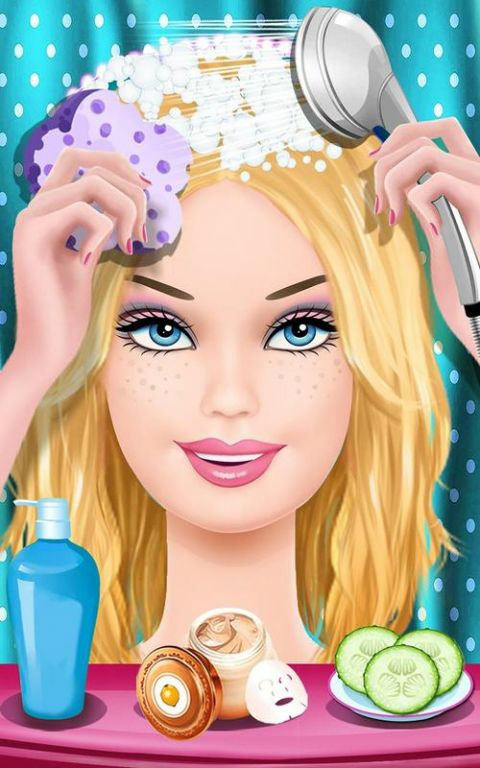 Make your girl models dress for success with Beauty Hair Salon: Fashion SPA! Your beauty salon has all the tools you need to turn ordinary girls into beautiful models. Give their curls a good cut and color with your salon's hairstyle tools. What look is in fashion these days? That's up to you, of course! Give the girls new lipstick, blush, eyeshadow and other makeup, too. Nothing says fashion like the right kind of eyeliner! With makeup and hairstyles in line, it's time to pick out the perfect outfit. Your salon has tons of dresses, shoes, tops, pants, skirts and accessories to choose from. Pick out the right one and get the makeover complete! Fashion is important to girls, just like it is for all girls! Make sure each one has the perfect hairstyle, curls and all, by cutting and coloring it however you like. Your salon needs to give them the right dress and makeup, too, otherwise they'll have a bad fashion day! 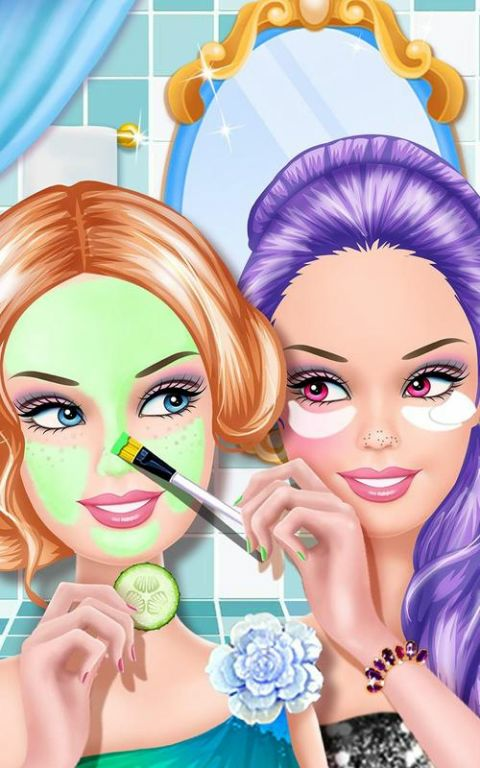 - Play with your very own virtual girl in the beauty salon. - Dress the models in different hairstyles and outfits. - Choose a model to give a makeover to. - Pick out the perfect outfit and hairstyle to wear. - Cut, curl and color each girl's hairstyle. 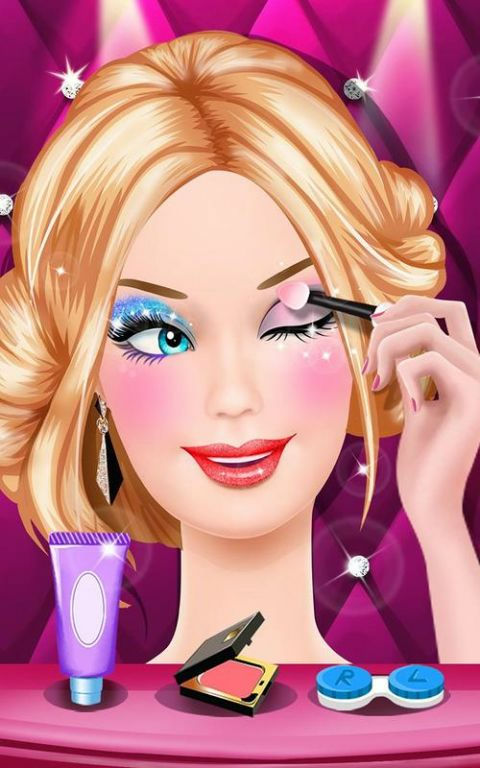 - Design a new makeup look to complete the makeover. PLEASE NOTE: This app lets you purchase digital content using actual money. On Kindle Fire, you can configure parental controls from the device Settings menu, and then selecting Parental Controls. On Android devices, you can configure in-app purchasing parental controls from the settings menu within the Amazon Appstore.